Throughout the Midwest, your vehicle is exposed to some of the harshest operating conditions in the country. Hot, humid summers and snowy winters wreak havoc on your car or truck. All the moisture, along with road salt and harsh chemicals being used on the road, can cause your vehicle’s undercarriage and body panels to corrode prematurely. Once this starts, the damage can quickly get out of control. Thanks to rust proofing, this all can be avoided. 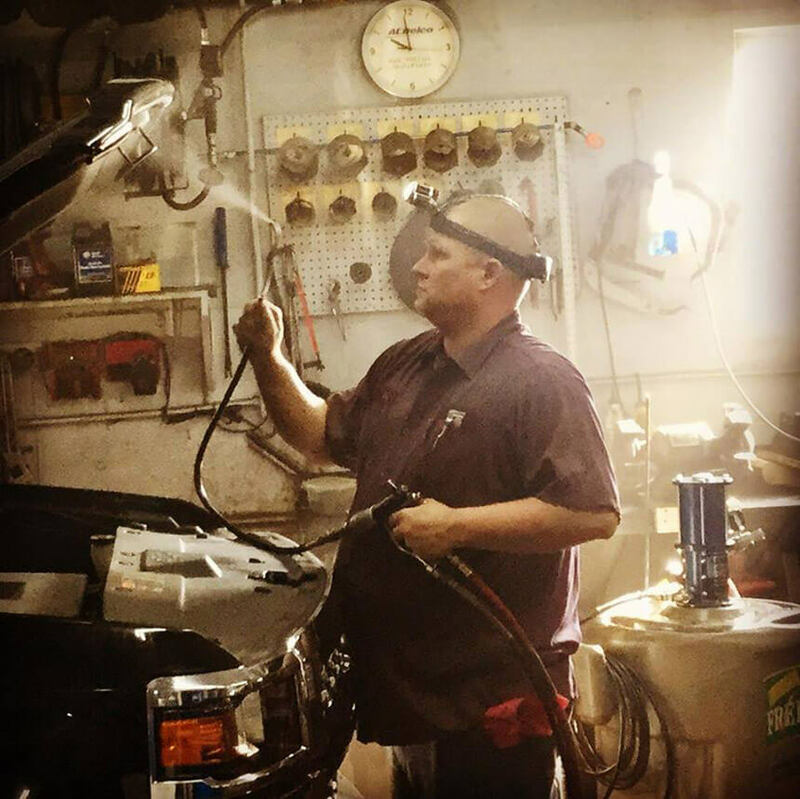 Chickasaw Garage is your authorized rustproofing installer in Mercer County, using genuine Corrosion FREE products. Our friendly service team will fully explain all the benefits of rustproofing, showing you how such an investment today can save you money down the road. While other shops claim their rustproofing process works, we will prove that ours is superior. Chickasaw Garage utilizes Corrosion FREE rustproofing products and techniques. This product is backed by more than 20 years of history. This particular type of rustproofing is clear and dripless; you will quickly see that it’s working. 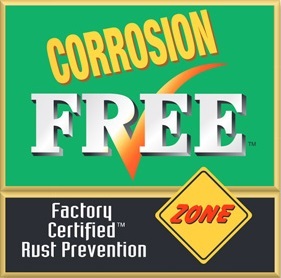 Not only does it prevent rust— it stops any existing traces of rust in its tracks. 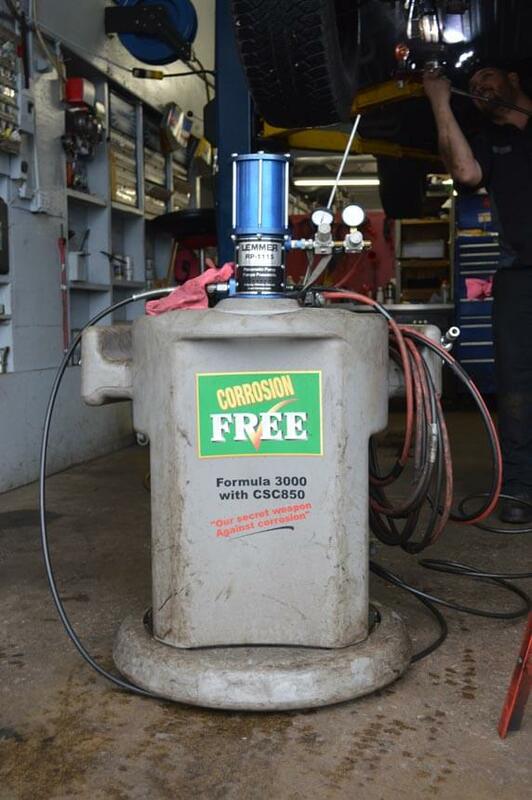 At Chickasaw Garage, we apply Corrosion FREE’s Formula 3000 rustproofing, backed by the company’s “Beyond the Future” warranty for qualifying vehicles. Your vehicle remains covered against corrosion indefinitely; all you need is a reapplication every 18 months for superior protection.